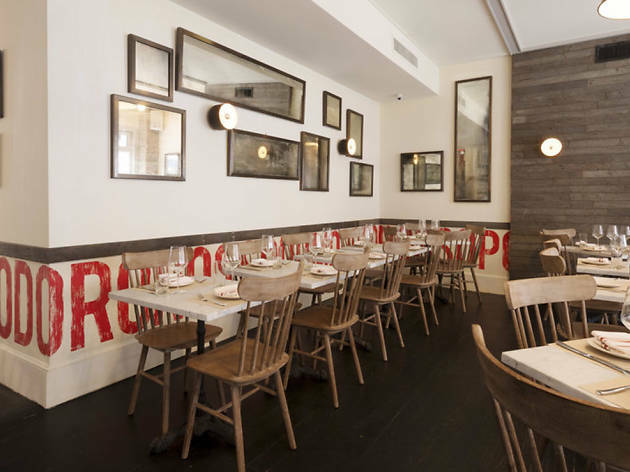 At this dreamy West Village spot, chef and owner Simone Falco worked with famed flourmill Antico Molino Caputo to create a proprietary gluten-free flour blend. Made with buckwheat, corn, rice and gluten-free wheat starches, the dough is virtually indistinguishable in taste from a traditional pastas and pies. Otherwise made in the traditional Neapolitan style, the pillowy pizza crust can be topped with creamy mozzarella di bufala, salty guanciale or rich basil pesto. 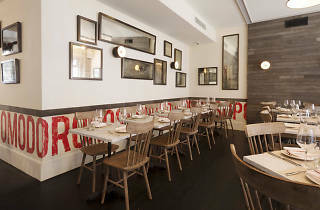 Tucked away between the quaint West Village and hustle-and-bustle of Chelsea, Rossopomodoro is a perfect blend of the two neighborhoods it resides in. The food is eclectic and full of flavor, while the ambiance is quiet, cozy, and romantic. In terms of food, try the eggplant meatballs or the gnocchi. I also hear the meatball entree is delicious, but unfortunately didn't have a chance to try them. If you prefer a cocktail and want something light and fresh, get the vodka, lemon and mint drink. It is absolutely delicious, and it's a generous portion! Looking forward to coming back here again.